Press Room in their endure to bring latest technology for feeder, have brought NC Servo Roll feeder technology for presses in year 2001. Today with installation in various part of country to handle strip width from 100 mm to 1250 mm & thickness from 0.1 mm to 12.00 mm fully programmable units have be interlinked with small / medium / large presses. Various models have been manufactured & following standards models are available in short deliveries. Mid Series NC Servo Feeder is suitable to feed material of 200-1000 mm X 1.0-2.5 mm. It is most suitable for automotive components, electrical components, junction boxes, bearings, circlips, submersible pumps, disc springs, utencils, ceiling tiles mfg. industries. Extra Heavy Series NC Servo Feeder is suitable to feed material of 200 X 10.0 mm, 400 X 9.0 mm, 600 X 6.3 mm. It is suitable for auto parts like chain link, chain sprockets etc. mfg. industries. High Speed Series NC Servo Feeder with mechanical pilot release mechanism is suitable for electrical motor stamping & electrical lamination mfg. industries. 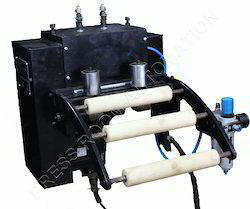 NC Servo Feeder for feeding lower thickness material specially designed for gasket manufacturing industries. Extra Light Series NC Servo Feeder is used to feed the width upto 200 mm & thickness range from 0.5-1.0 mm material. 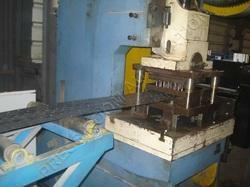 It is most suitable for stamping, gaskets mfg. industries. Extra Mid Series NC Servo Feeder is suitable to feed material of 300 X 3.5 mm, 400 X 3.0 mm. 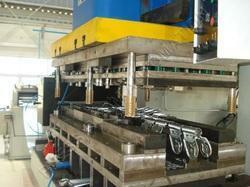 It is suitable for automotive components like clutch plates, chains etc., auto body parts mfg. industries. Heavy Series NC Servo Feeder is suitable to feed material of 300 X 6.0 mm, 400-500 X 5.0 mm, 600 X 4.0 mm, 800 X 3.0 mm, 1000 X 2.0 mm. It is suitable for automotive components like clutch plates, chains etc., auto body parts mfg. industries. 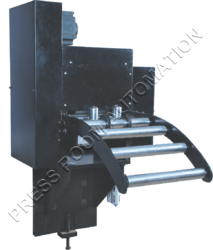 NC Servo Feeder with mechanical pilot release mechanism is suitable for stamping & small electrical components mfg. industries. Top High Speed Series NC Servo Feeder with servo pilot release mechanism by two separate servo motors, this enables the desired speed around 60 mpm with accuracy. 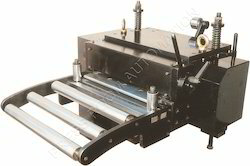 Two NC Servo Feeders are used as PUSH & PULL Feeder for feeding material comes in strip lengths. It also has sequencial feeding for variable length feeding for the same strip. 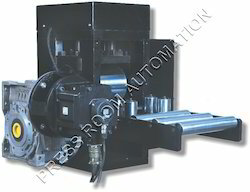 NC Servo Feeder with Anti Backlash Gearbox for better accuracy & higher torque. 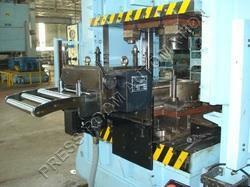 NC Servo Feeder is used for progressive die for multiple stage operation. Its has pilot release function in order to release the strip during piloting operation in dies. 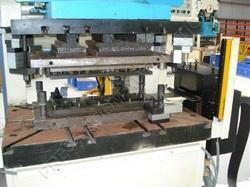 NC Servo Feeder for feeding lower thickness material of CRNGO/CRNO specially designed for stamping application. 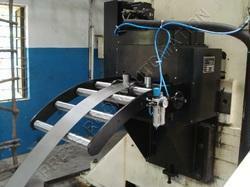 Extra Heavy Series NC Servo Feeder for feeding heavy thickness material for blanking application. 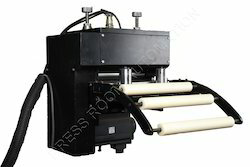 It is combination of Straightener & Feeding Unit. It is space saver unit. 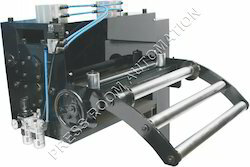 High Precision NC Servo Feeder with Anti Backlash Gear Box, Precision Gearing & Measuring Wheel. 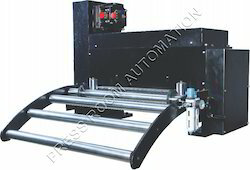 This Servo Feeder gives very good accuracy in length of ± 0.05 mm or less over 1000 mm length without piloting. • Anti Backlash Gearbox is used for beter accuracy higher torque. • The accuracy is made by a double measuring system servomotor resolver + measuring wheel on sheet. Normally using for Cut to Length, Furniture Angles, etc. 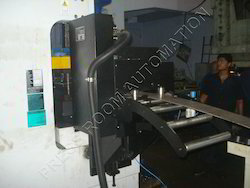 NC Servo Feeder for feeding material for manufacturing racking system. 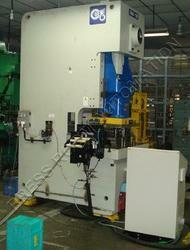 NC Servo Feeder is used for blanking operation. 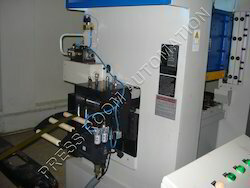 NC Servo Feeder is used for manufacturing automobile components. 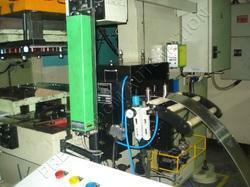 NC Servo Feeder is used for manufacturing electrical components. 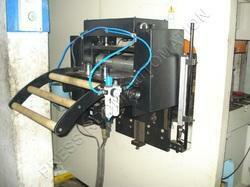 NC Servo Feeder is used for manufacturing switchgear components. 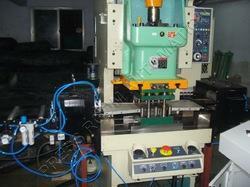 NC Servo Feeder is used for manufacturing deep draw parts. Looking for NC Servo Feeder ?